Community Leaders and Chamber members celebrate the reopening of Jame's Barbershop in Oak Grove. 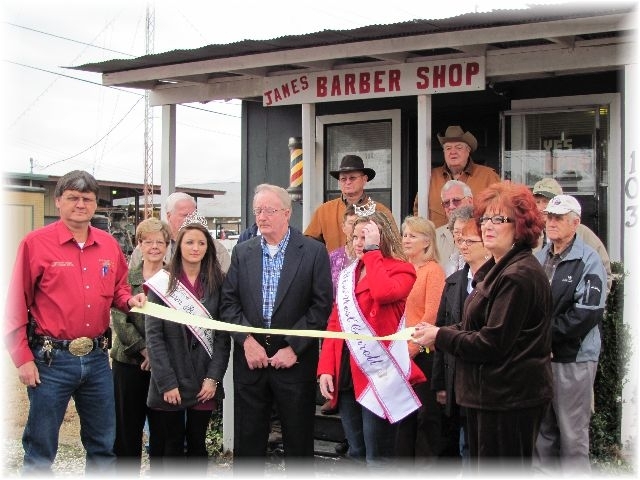 The West Carroll Chamber recently cut a ribbon to celebrate the reopening of Jame’s Barber Shop at 103 Jarson Street. Mr. Wooten, owner, invites all his old costumers and new ones to come by for a visit.